Misfits will (once again) walk among us for their sole 2017 reunion show later this year! 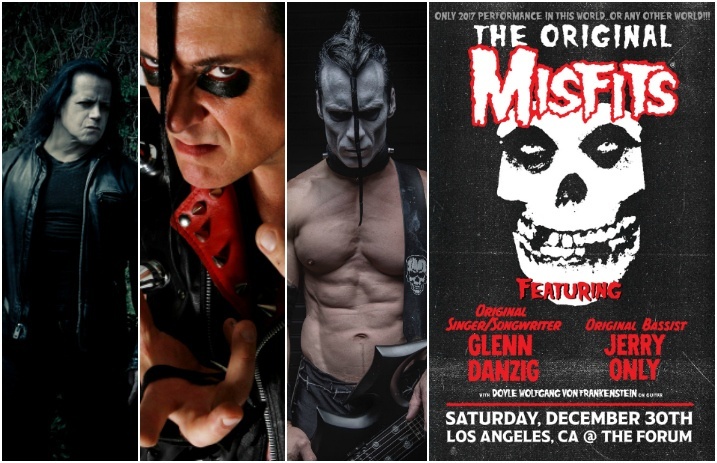 Founding members Glenn Danzig and Jerry Only will join longtime guitarist Doyle Wolfgang Von Frankenstein as the Original Misfits for “the first time in over 30 years” this December. Check out the details below! The special, one-night-only gig goes down on Saturday, December 30, at the Forum in Los Angeles, following the legendary horror-punk band's two historic reunion shows that happened last year at the Riot Fest in Chicago and Denver. Tickets are available here via Ticketmaster.